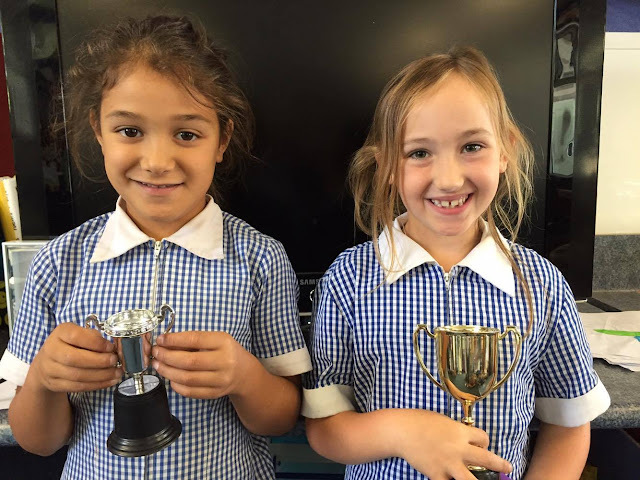 The ‘Most Generous’ trophy this week goes to Skye (left) for always sharing with her peers. Well done! 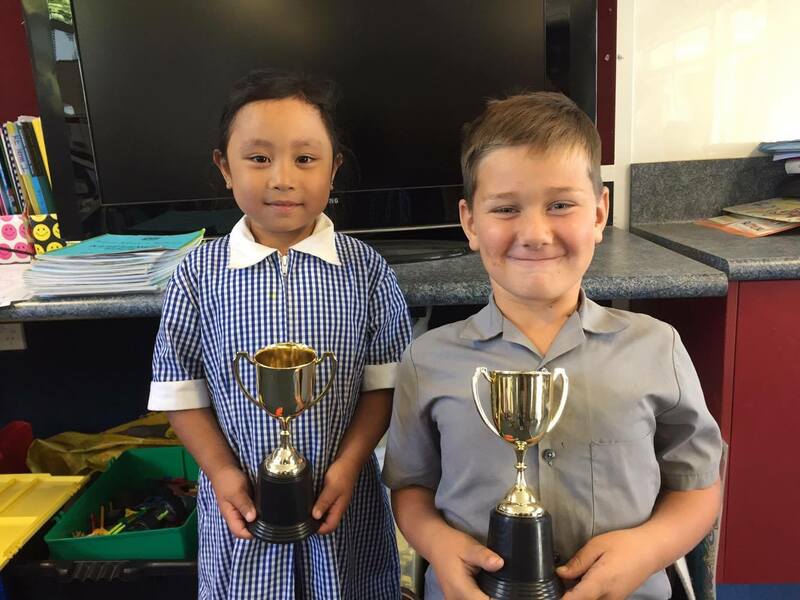 This weeks ‘Hardest worker’ award goes to Korben (right) for his consistent hard work in reading and maths. Keep it up! The ‘Most Generous’ trophy this week goes to Myriah, for her admirable generosity in room three. Well done! This weeks ‘Hardest Worker’ trophy goes to Ciára, for always trying her best and completing all her tasks to a high standard. Awesome work!